With several PES 2014 gameplay & tutorial videos reaching the community this week, I’ve been hearing more and more fans complain about the ghosts of Pro Evo past creeping into PES 2014. 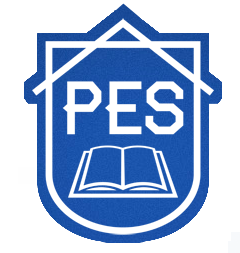 Now, as a fan of the series and an active member of the PES-United fan site, it’s easy to assume I sugar coat everything PES-related or at least keep the glass half full. In some ways this is true as I like to keep a positive outlook, but in the end, much like everyone else writing on our community boards and comments sections, I want the best PES possible. So, like the majority of you, I was a bit disappointed when I recognized familiar “AI issues” in the new engine (especially when watching these tutorial videos). Things like the goalkeepers’ sense of urgency, defensive AI “watching” the ball when it’s right in front of them, and players waiting for passes to reach their feet without proactively going after them. As a fan of the series, you get to a point where you just don’t understand why it’s so hard to implement some of the smallest of changes, like an option for player names at the bottom of the screen or a goalkeeper that has more personality. I mean, sometimes as a PES fan, you’re left scratching your head at the decisions Konami makes (or doesn’t make), and while many fans are concerned with the new engine (mostly because they have not seen enough of it – and the tutorial videos are NOT helping), some fans have gone so far as to say PES 2014 isn’t even using a new engine, but a slightly better looking PES 13 engine. Now, here’s the thing, I agree with the majority of the community that there’s a sort of Poltergeist-effect happening with PES 2014 (more on this later), but I’ve played the new game, and it’s certainly not the same engine as PES 2013, not even close. It’s night and day better when all is said and done. With that, however, there are some problems that have been carried over from the old engine. How you ask? Well, fairly simple. Even with a new engine, you still have elements that have to be recycled from the old engine. It’s impossible to do a page one rewrite of EVERYTHING, as it would take way more than two years to implement. Obviously, in a two-year cycle you can’t perfect a game on a new engine or scrap everything to make it from scratch, but it is enough time to lay down a strong foundation for the future, port over various elements from the previous version, and smooth it over. So, some of what was used in current gen code will inevitably remain. Plus Konami doesn't want to lose the elements of PES that already worked. The trade-off then is this: do you have enough time to fully polish and eradicate the previous issues that have been injected into the new engine, while at the same time creating the new engine’s completely original elements? I’m exhausted just thinking about it. Clearly, it’s not an easy job. Let me explain further. As we all know, it’s a grueling cycle that annual sports video games have to endure -- a year-to-year grind that can drive any developer into madness. And like any sports game developer, the workload on yearly iterations is often dictated by the quality of its core engine. The stronger the engine, the less time you spend having to rework it, and thus, the more time you can spend adding bells and whistles and subtle features like “building your own shoes." The core engine of a sports game is ultimately the difference between success and failure, as rebuilding an engine in a year-to-year process is literally impossible (just ask NBA Live). Once you fall behind, it’s a long road back. When PES made the jump from PS2 and brought PES 2008 to current gen, it started off with such a poor core engine that legendary PES personality Suffwan Eltom of WENB actually cried on the Gamescom floor when he first saw it. From there, it was always an uphill battle for Konami, as each year they had to put massive resources into re-programming and altering the core engine as best they could, since creating a new engine from scratch in the window allotted by Konami was impossible. So, every year from 2008-2012, we were playing almost completely different games of PES (sometimes multiple games in the same year with certain patches altering the gameplay almost completely). To put it in architectural terms, if the core gameplay and physics engine is the foundation of the house, Konami’s house was very nearly falling over. Coming to grips with this realization, Konami somehow managed to continue working hard on the core engine throughout this console generation until finally releasing a strong product in PES 13 (some may disagree with this, but I think it’s hard to deny its quality compared to the rest of the generation’s releases). Still, the massive misstep took Konami half a decade to rectify (PES 13 is what happens when you marry a shoddy core system with solid gameplay fundamentals) and cost them their number one position in the soccer video game marketplace. Because of the missteps taken this generation, it’s even more important than ever for Konami to get things right the first time out, nailing a new engine for the future that has a strong core and can sustain a new console generation. The good thing is that we have to remember that this isn’t the first next gen game, and we can’t really put Konami under the microscope as if it were. You’re looking at the Fox engine on current gen, not the new next gen engine. It’s a good jumping off point, but fans have to be realistic about the process. The transition to the Fox engine only started two years ago, and while the graphics and animations are getting a heap of love this year (as well as several AI improvements), you simply can’t create an entire AI code from scratch in two years time. A lot of elements, especially with regards to the AI, have to be ported over to the new PES 2014 engine from pre-existing code, warts and all. From there, the AI goes through a lot of refining and improving. So when you pick up the sticks this September, yes, the animation affords the player a new and much improved experience, but the AI is only as good as PES’s previous code (with a lot of TLC), but it’s still essentially the previous code. That’s not to say it’s exactly the same, as I feel there’s more uniqueness to CPU teams (from my play time) and teammates feel smarter overall, but several quirks still exist. The good news is that the animation system erases a lot of the previous games’ flaws. For example, I always hated in previous PES games how when you’d take a shot in the box or just outside it, you’d get tackled from behind at the same time, and the ref literally never called it a foul. A glitch in the system, I believe. The good news here is that you won’t see that in PES 2014 because the animation system and refined AI got rid of it. Though things like AI teammates watching the ball a little too often unless you control them directly, balls going out of bounds awkwardly near the touchlines at times, and keepers being occasionally inconsistent are all imbedded in some form in the new engine. The question then is this: can Konami smooth these issues out before release? We’ll see. Think of it like Poltergeist. A film that revolves around a family that moves into a neighborhood only to be haunted by a ghost. Eventually, the family comes to realize that the neighborhood was built on top of a cemetery. Only problem was they never moved the graves, just the headstones. In a way, I think that’s what’s happening here, to an extent. We’re getting an amazing new graphics and animation system built on top of the current gen AI. Obviously, Konami then refines and builds off that code to try and improve it, and while I’m sure Konami would love to wait until November to release the most refined and polished game possible, that year-to-year release schedule wins out in the end, since Konami can’t wait that long or they risk losing too much ground to FIFA (as they’d be in the market for a much longer period of time). In short, while the FOX engine is a new gameplay, animations, and physics engine, it’s not necessarily a new AI engine, more of a refined AI engine. In the end, you have to be realistic with what it all means and how Konami employs it. Fans should appreciate the work and time Konami has put into the new engine and that it’s even coming to the PS3 this year, instead of Konami sitting on it for another year and releasing another same-engine PES on current gens instead. You also have to factor in what’s possible on current gen hardware. If Konami is pushing their limits on what can and can’t be added due to system memory and processing power, it may be too difficult for them to completely alter certain AI systems on current hardware anyway, especially when the deadline is fast approaching and so much has to be tweaked. A case of what to prioritize in smoothing and polishing and what will have to be addressed next year with next gen processing power. In closing, it’s a tall order to pull off a new engine, especially when you don’t have 3-4 years of development time like many developers wrestling with new engines (MGS5 has been in development for about 5 years, for example). People need to think more about what exactly that entails before making overly harsh and ridiculous comments or forming opinions. The good news is that the bulk has been laid down for the future with current gen PES 2014. From here, Konami has to improve and add to the core, but the good news is they don’t have to stumble trying to create it, something that they haven’t had the pleasure of since the PS2 days. Is the core good enough? A lot of people are asking that question, and until the demo drops, there’s reason to be skeptical. I can say that from what I’ve played, it’s solid, and we’re in a good place. The house isn’t falling down. I’d expect a great game this year and a fantastic one next year, but I wouldn’t expect to pick up your PS3 controller on September 24th without noticing some issues that have carried over from other PES games this generation (be them minimal). Like the neighborhood in Poltergeist, not everything is as it appears. Though the good news is that unlike Poltergeist, most of the graves have been dug up and successfully relocated. Yet until we have the power of the next gen systems to fully eradicate and give Konami all the freedom they need, we’re going to have to live with a few dead bodies beneath the houses, at least this year. Demo Date & UK Release Date!